Battling against weight issues may at times feel like an unending combat against oneself. Being a professional in the beauty industry it is vital that you be in a position to offer weight loss options for your clients by means of different weight loss equipment. Source One Beauty can help you in this regard. Weight loss can be achieved in many ways. 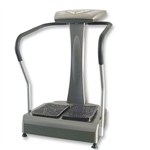 We offer such equipment as cavitations machines, body slimming units and even saunas. 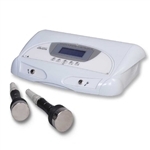 You may use such equipment not only to help with weight loss but also to melt fat cells, shape body, eliminate cellular tissue, accelerate blood and lymph circulation and get rid of toxins in the body. Offer a pain free, scar free, non-invasive weight loss option for those that are looking for alternatives to traditional weight loss methods. Help your clients win the battle against weight.